Ultima Thule is in the news this year as the nickname of Kuiper belt object 2014 MU69, which the New Horizons spacecraft has just flown by, sending back a stream of photos and other data. So now’s a good time to look at where that nickname comes from and the mythology behind it. Thule is the name given by ancient Greek writers to the farthest north inhabited land. It was apparently first mentioned by Pytheas in the fourth century BCE, in a work known only from references in other authors. One said that in the region of Thule “there was no longer any proper land nor sea nor air, but a sort of mixture of all three of the consistency of a jellyfish in which one can neither walk nor sail.” Pliny the Elder said “it is day and night continually for six months by turns.” On the other hand, other authors wrote that the land was fertile and the inhabitants could grow abundant crops. The fact is that they were probably not all talking about the same place, since the real-world location of Thule has been identified as anything from Ireland to Greenland to northern Scandinavia to Estonia. I don’t care about possible real-world locations, though. 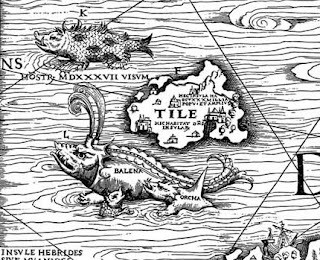 I’m interested in Ultima Thule as a mythical location. 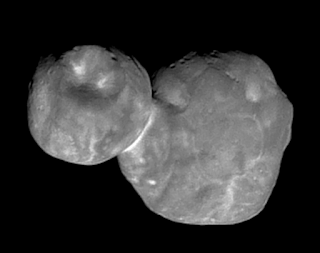 The phrase Ultima Thule, meaning “farthermost Thule” came to have a more metaphorical sense of a land beyond the edges of the known world, or even an unattainable goal. In the middle ages it became linked with other mythical islands beyond Ireland. 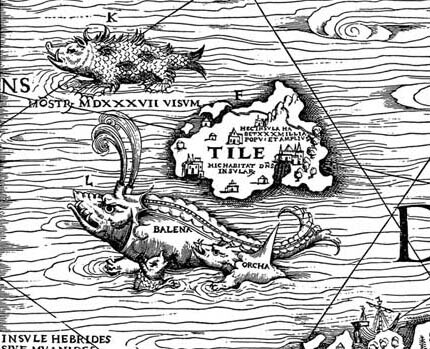 As a metaphor or symbol of the unknown areas beyond exploration, Ultima Thule has had great resonance for explorers from the time of St Brendan, and Columbus, through to the New Horizons spacecraft. (Nazi occultists also found resonance with the name, but I agree with New Horizons principal investigator Alan Stern’s statement, “Just because some bad guys once liked that term, we’re not going to let them hijack it.”) It’s a characteristic of humans that we look to the edges of our known world, and it’s nice to have a name for whatever it is that might lie beyond. I leave you with Edgar Allen Poe’s reference from the poem Dream-Land (1844).